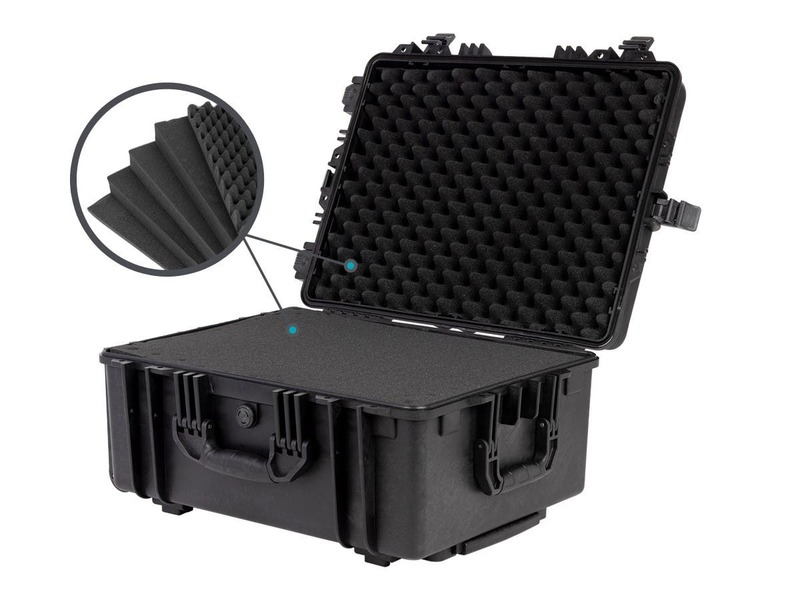 Is the weight of the case with or without the foam ? BEST ANSWER: Thank you for your question. We would only have the weight with the foam which will be 21.61lbs. 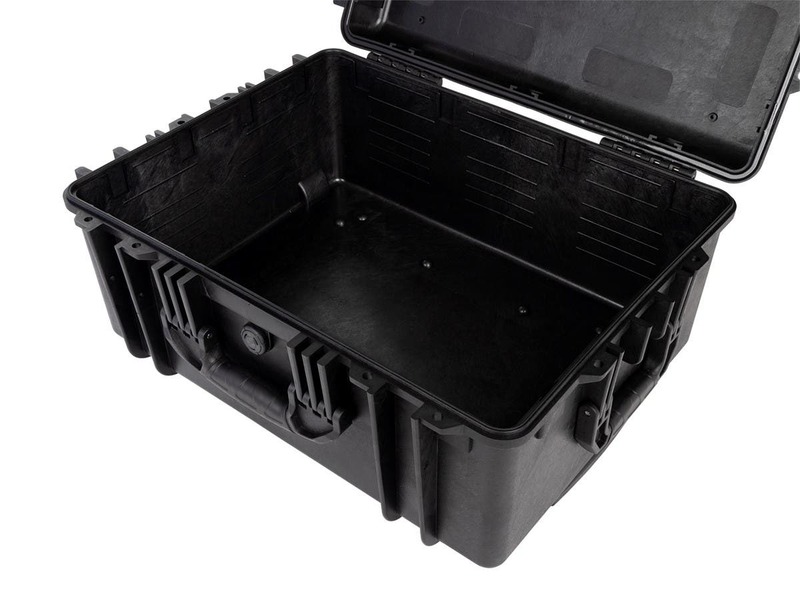 Will this fit Phantom 4 drones? 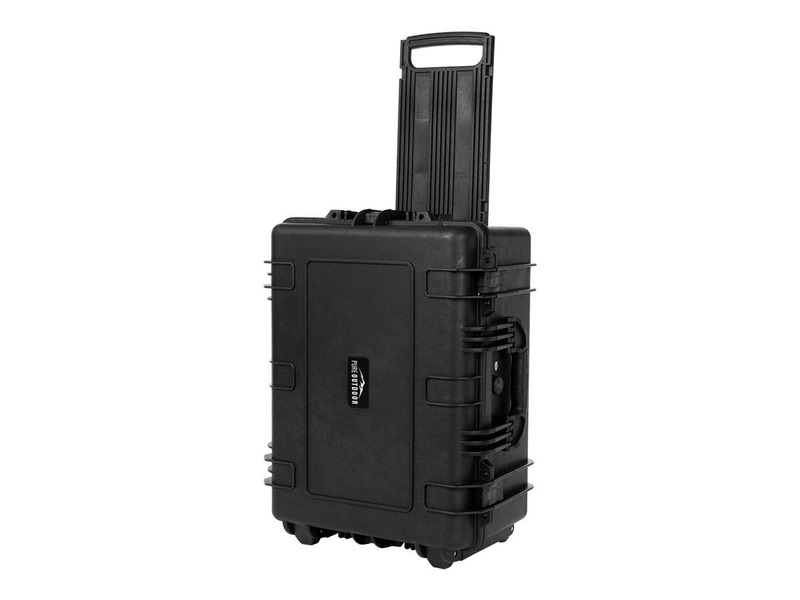 I purchased this case to transport and ship an Evolis Primacy ID card printer. Monoprice provided a quality product that was easy to use and customize, and it arrived faster than expected. I highly recommend. 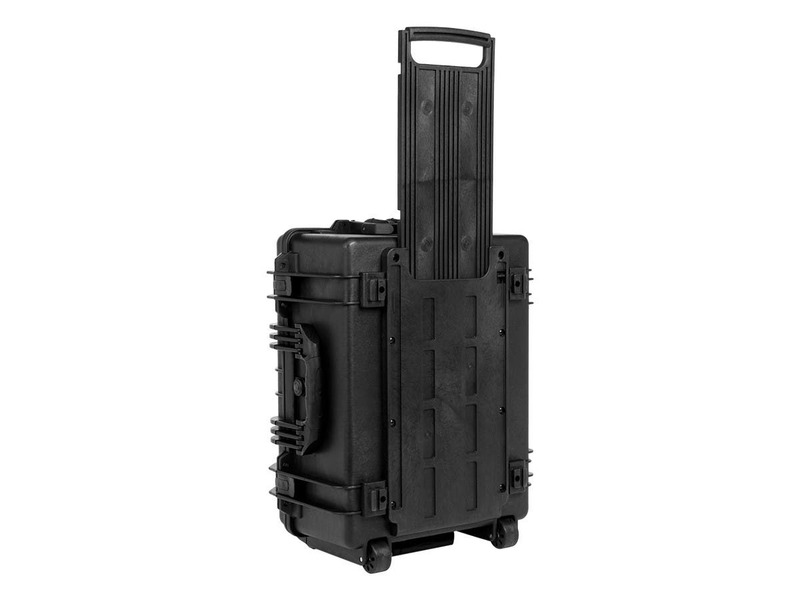 This case was purchased at half the price of a customized pre-made case by the printer manufacturer. I didn't have a need to contact Monoprice customer support for anything, because they're just SUPER EASY, cheaper, and well constructed. Amazing value, with a few very small issues. Overall, I LOVE this case! It's packed full of camera gear including my Canon 7D (with a full cage including top handle, 2 shotgun mics, audio recorder, pair of NP-F970 batteries, and 7" monitor) plus lenses (Sigma 20mm 1.8, Canon 50mm 1.4, and Canon 70-300) batteries, chargers, memory cards/readers, XLR cables, and lens cleaning supplies with room to spare. I only have 2 criticisms. 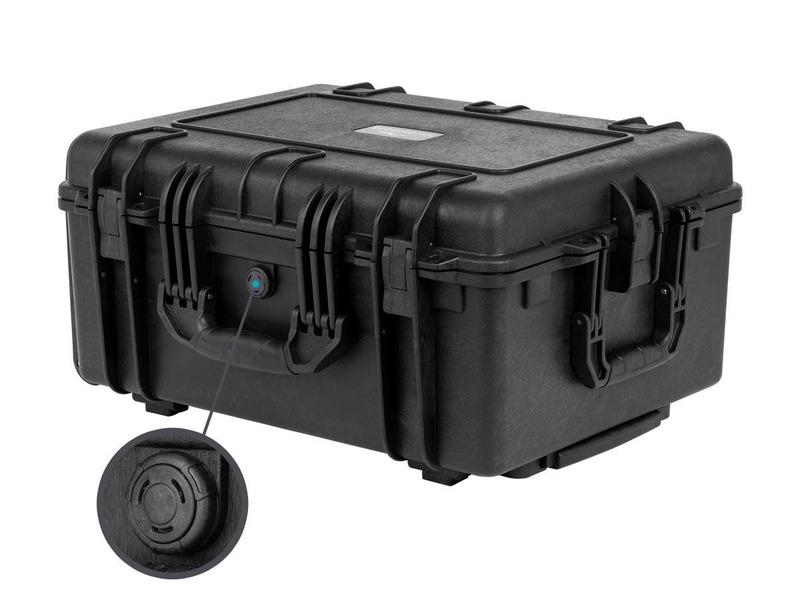 First, the latches do not stay open like they do on Pelican or Seahorse cases. This means when you undo the side latches, they will fall back down and prevent it from opening easily. It takes a bit of practice to wiggle the latches free from the lower portion of the case, but when you figure it out it can be opened quite easily. Second, the Monoprice logo on the front peeled off on my first shoot. The case sat in my car for about an hour while I was setting up other gear, and the adhesive melted and the red M logo peeled up. I planned to remove it and add my company logos anyways, but it was unexpected and worth mentioning. This case is AWESOME! 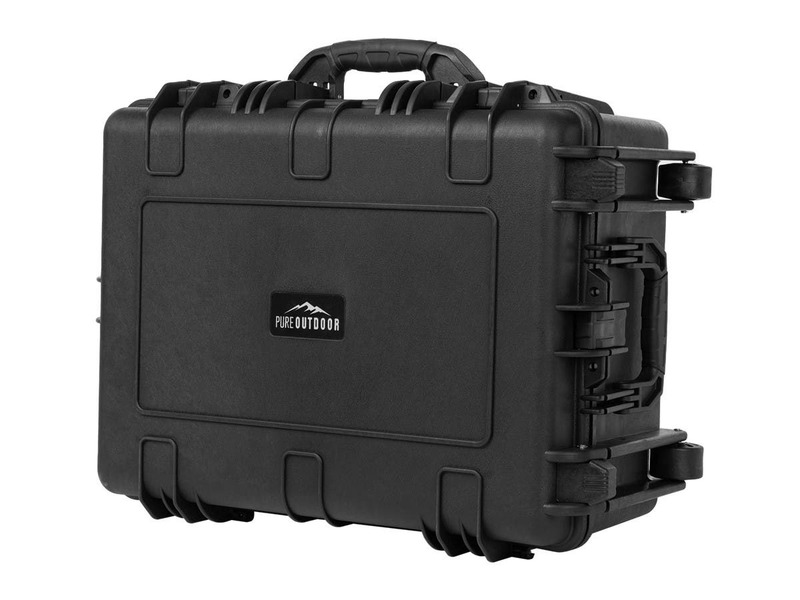 Just as good as the pelican cases and cheaper too! Very well made. Good price. This case was purchased for a large workstation PC laptop. It is very well made and heavy duty. I have one issue which is easy to deal with and not the fault of the case. So, I am not deducting any stars. I am not a big fan of the pluck out foam. I have replaced it with kaizen foam and it works much better for me.